Wow! This is fabulous! I ran across this article today and all I can think to say is Fabulous! I love everything about it! Rebecca Louise Law is an East London florist who creates sublime arrangements of floating flowers. “Most of my installations are reflecting what’s happening in nature, by looking at plant patterns or observing the way something grows. Then I imagine these themes in real life and times that by a thousand so that it becomes fantasy,” says Law. Here is a link to the article with more fabulous photos of her work. At Fleurenasci, we like to say that we celebrate the essence of life through the essence of flowers. 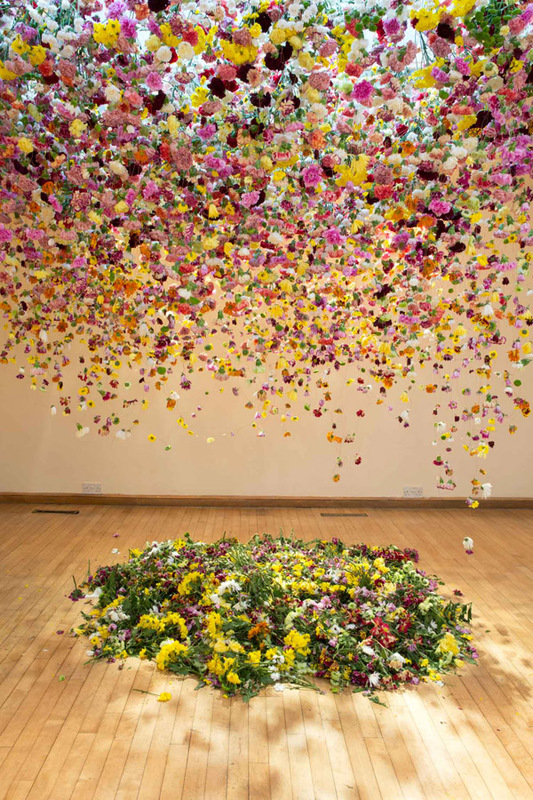 Rebecca Louise Law has taken celebrating flowers and nature to another level. Have you encountered a Fabulous way to celebrate flowers or nature? Please share! I would love to hear from you! 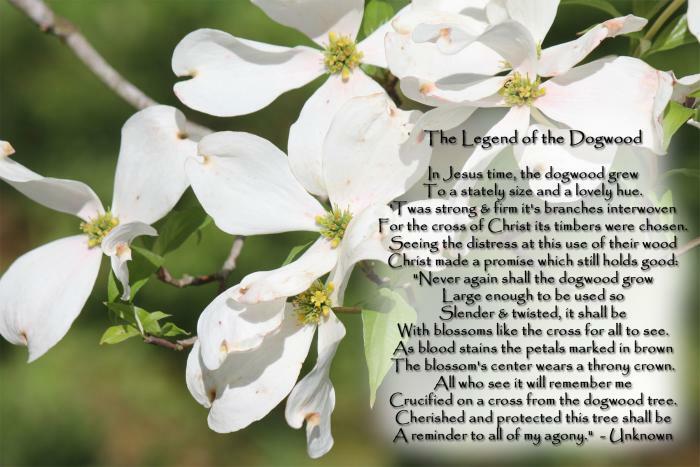 Celebrate the Essence of Easter……. Wow! Where has the time gone? Is it passing as quickly for you as it is for me? As I was working with my calendar last evening, planning for upcoming events. 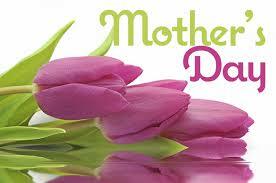 I came to realize that Mother’s Day weekend will no doubt hold many special memories for this proud Mother. You see this year, my son will graduate from college the Friday evening before Mother’s Day. It still pulls at my heart as I reflect on his first day of kindergarten, the long walk back to the car after seeing him off on the first of many school adventures! With this in mind, Fleurenasci will be closed for business Thursday evening, May 8, 2014 until Monday May 12, 2014. After all, being with family, celebrating with family is the very foundation for life’s essence! 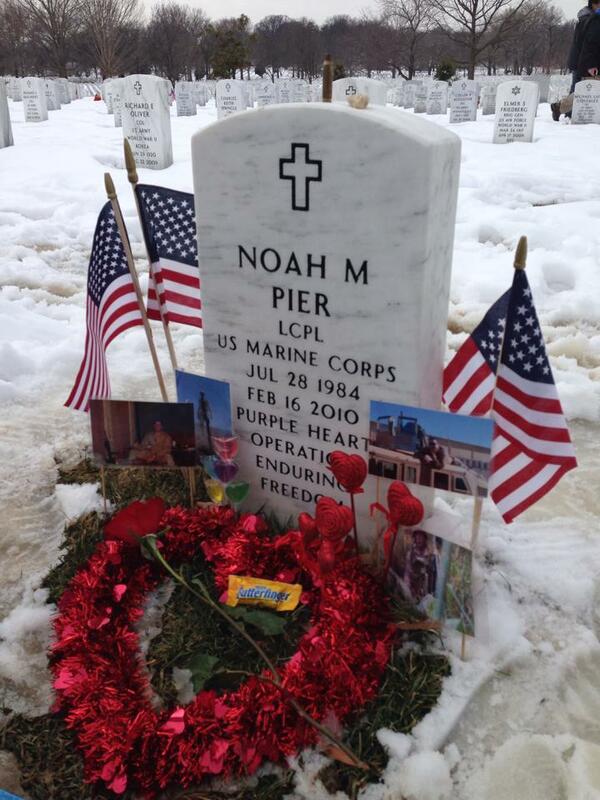 How will your special someone remember this Mother’s Day? 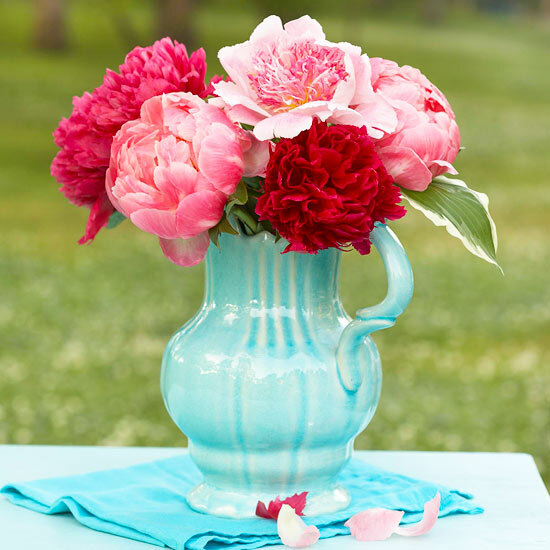 Better Homes and Gardens has some suggestions for easy Mother’s Day flower arrangements. Here are a few of my favorites. Be sure to visit bhg.com and check out the rest. Peonies are a wonderful choice with their essence of happy life. And an extra bonus, they bloom abundantly April through June. Place them in her favorite pitcher for a unique twist. 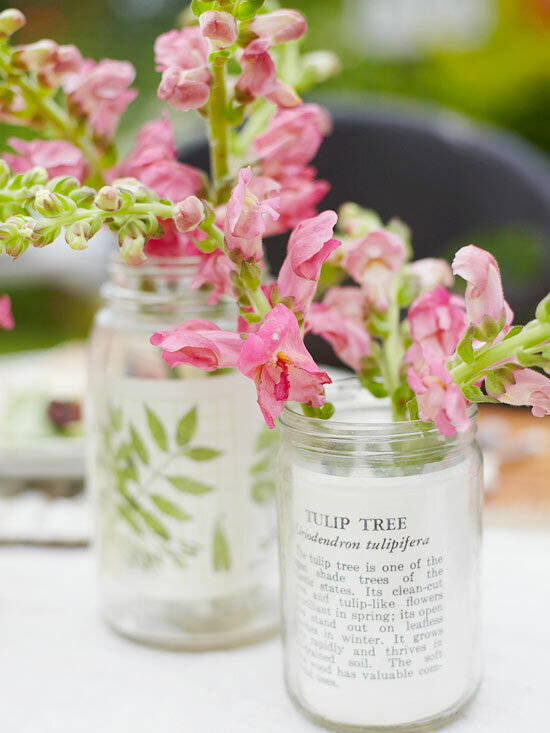 Snapdragons with their essence of graciousness and strength are sure to bring a smile. Love the suggestion to place an old postcard inside a recycled glass jar and then slide your small vase of flowers into the jar for a whimsical gift. What do you think when you think peaceful? 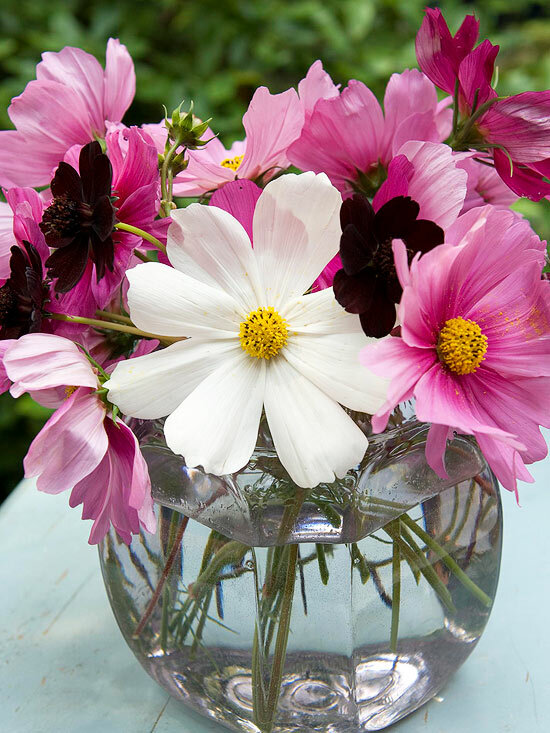 We think about Cosmos with an essence of peaceful and so did Better Homes and Garden. They suggest using a re-purposed miniature fish bowl as a fun vessel for your bright blossoms. Love sunflowers. Who doesn’t with their essence of happiness and warmth? 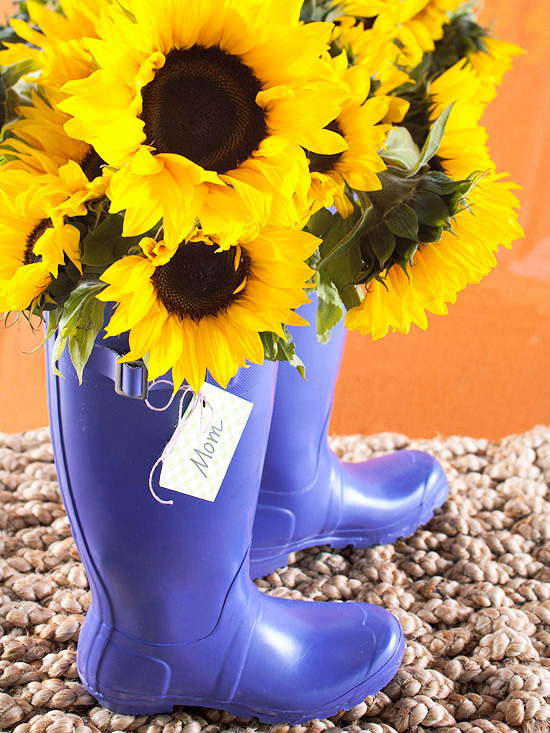 And standing them in a kicky pair of garden boots is a fabulous idea! ~ Does it provide instant gratification (sight, smell, taste, sound, texture)? Flowers certainly provide the elements of sight and smell. ~ Is it long lasting? Preserving those flowers into a jewelry or keepsake item creates a wonderful long lasting gift. Purchase a gift certificate and she can create her own unique item. ~ Is there a special sentiment attached to it? What better sentiment than the very flowers she received from her loved one? ~ Is it educational in some way? Learning which life essence is being celebrated through the choice of flower and their essence is both enlightening and educational. This Mothers Day, Fleurenasci would like to take you one step closer toward giving the Perfect Gift by offering a Mother’s Day Gift Pack. The gift pack will include, a Gift Certificate, an Order Form, Flower Care Instructions, a Brochure, and a Pre-Addressed Envelope. All that’s left is the choosing of the flowers and you’ll be prepared to give your special someone a gift with all the, Elements of a Perfect Gift. So plan early. Start now. Choose your vessel, purchase your Fleurenasci Mother’s Day Gift Pack, add fresh flowers the weekend of, and celebrate the essence of your special someone!